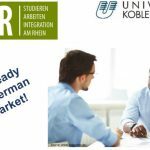 Get to know companies and ways of entering the job market in the Rhine Neckar Area at the event “University and economy – together for the region” in Worms on 5th of April. This entry was posted in Event and tagged International Students on April 4, 2017 by Ve. 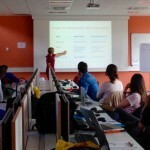 This entry was posted in Workshop/Meeting/Summer School and tagged Ecotoxicological Risk Assessment, International Students, spatial ecotoxicology, Summer Academy on September 9, 2015 by kymn.